Late December is one of my favorite times to buy Magic cards. First, it's a natural lull in the game's economy. There aren't many major tournaments, Standard has been more or less solved, and people are focusing their time and energy on holiday plans, travel, and gifts for family and friends. This year, the successful release of Unstable has also pulled the focus even further away from competitive Magic. I imagine that Wizards of the Coast timed the release of Iconic Masters to temper this holiday malaise a bit, but it didn't really work. Second, there are always at least a few awesome year-end and holiday sales. StarCityGames.com® is running a pretty good one right now, and I suggest you check it out. Other sites are blowing out their excess inventory over the next couple of weeks, and eBay tends to run some sick promotions late in the year as well. Last, you may not have to wait long for your holiday purchases to pay dividends. January through April tends to be Magic's most expensive season, and cards generally start to spike once everybody gets back to work in the New Year. I like buying in late August, too, but the September spike generally only affects Standard, making this my favorite yearly buying window. Winter/early spring is Eternal season, and the Modern Pro Tour should help kick that rush into overdrive. What Kind of Buyer Should You Be? I've certainly made some productive impulse purchases over the years, but they're the exception, not the rule. Before you fill up your cart with a fat stack of goodies, it's worth taking a step back and figuring out what your goals are. If you're a lower-income Magic player looking to scrape together a single Standard or budget Modern deck, don't worry too much about making spec buys. It's better to just get the cards you know you're going to need, even if they don't have as much financial upside. If you've been holding off on grabbing that set of Chandras all year but you were hoping they'd drop a bit further, don't overthink it—just get the Chandras now instead of trying to play the market and get cute. Beyond that, I suggest playing to your comfort level and knowledge base as much as possible. I'll try to give you the best advice that I can, but understand that I'm a generalist. If you play Standard twice a week, or you're constantly testing the latest Modern tech, or you're plugged into the Commander community, you might know more about your niche than I do. In other words, don't just blindly buy cards because I tell you to—compare my thoughts with your existing knowledge and only make a move if you understand what you're hoping to achieve and why you think it'll work. Much like debating which deck to play at a tournament, the final choice has to come down to your own skills and comfort level. The Standard market is weird right now. 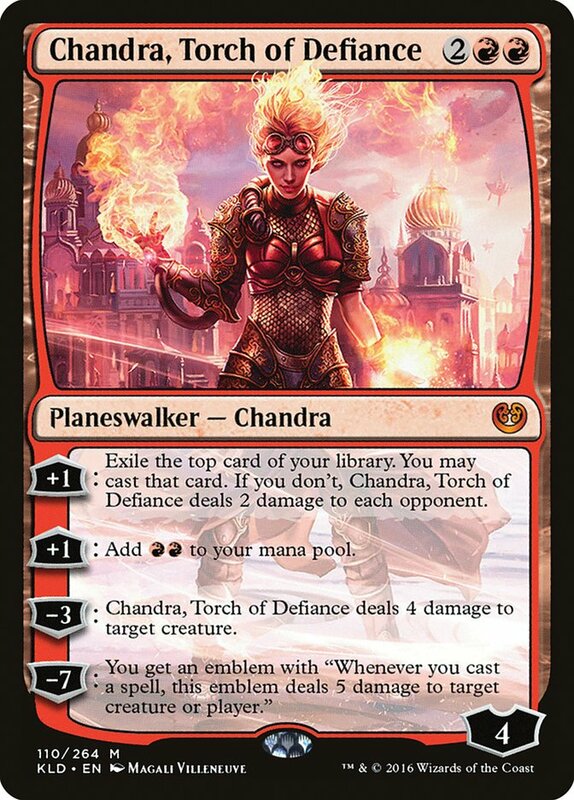 There are two marquee cards—Chandra, Torch of Defiance and The Scarab God—that are each worth almost twice as much as the next-most-valuable card. Beyond that, there are six or seven second-tier rares and mythics in the $10-$20 range. Things taper off from there. The Scarab God; Chandra, Torch of Defiance; Hazoret the Fervent, Torrential Gearhulk, and Walking Ballista are the five top-tier Standard cards with the best chance of rebounding in 2018. They all have a solid track record of success in multiple decks and seem fairly resilient to any potential bans or format shifts. None of these staples is priced low enough for me to recommend a speculative purchase, but they're worth snagging now if you've been holding off on buying them for your personal collection. None of these cards will rotate until the next Standard rotation in September, so you should be able to flip them in May or June without having to suffer too much (if any) depreciation. If you're lucky, you might even hit on the two or three of these cards that will double in price at some point between now and then simply due to shifts in the Standard metagame. Late December is almost always the best time to snag staples from the fall set. In addition to all the reasons for buying I listed at the top of the article, we're coming off three straight months of Ixalan drafts, which means that the market is approaching full saturation. Rivals of Ixalan is about to drop, though, which is going to turn that draft spigot down to a trickle. I expect that the next few weeks will bring rash of tribal speculation, too. Remember Relentless Dead? It was a $15 card when Shadows over Innistrad was released, but it bottomed out at $6 before Eldritch Moon previews jumped it back up to $15 again. 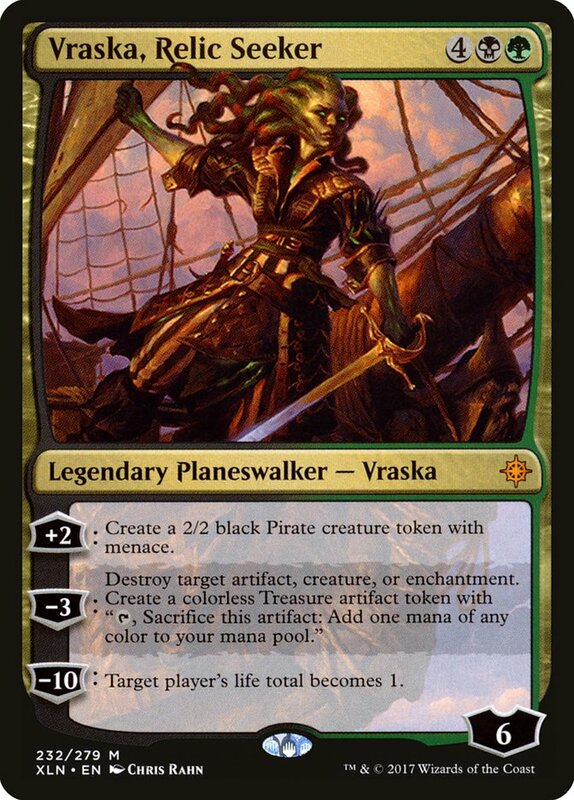 It doesn't even matter if Pirates or Dinosaurs actually become competitive once Rivals releases; we just need people to get excited about those decks at some point over the next month so we can flip our specs into the hype. Let's sift through the tribal cards and see if we can ping some winners! The Dinosaurs seem to have held their value better than any of the other tribes. They had the best-looking cards to begin with, and Rampaging Ferocidon did actually find a home in Ramunap Red. Carnage Tyrant saw a little bit of play back in early October, too. 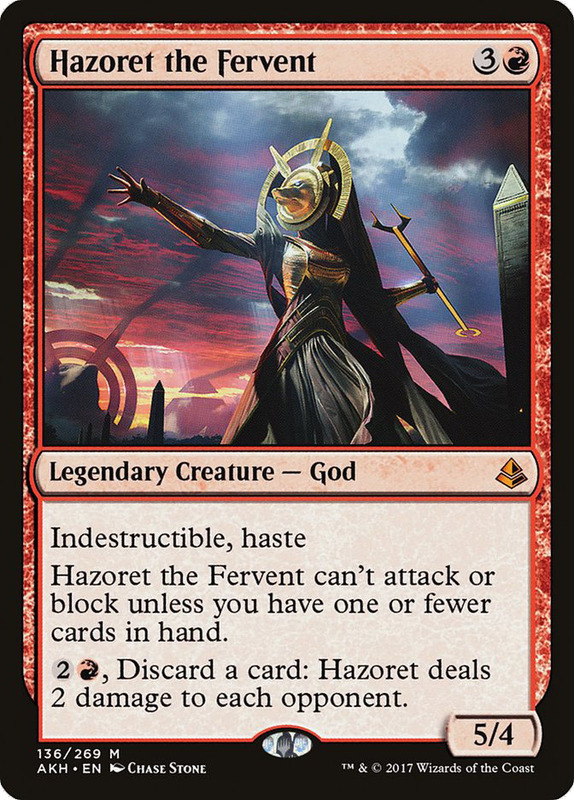 I would love Carnage Tyrant if the buy-in was in the $6-$7 range, but $13 for a card that doesn't see any play right now still feels like a fairly big risk. 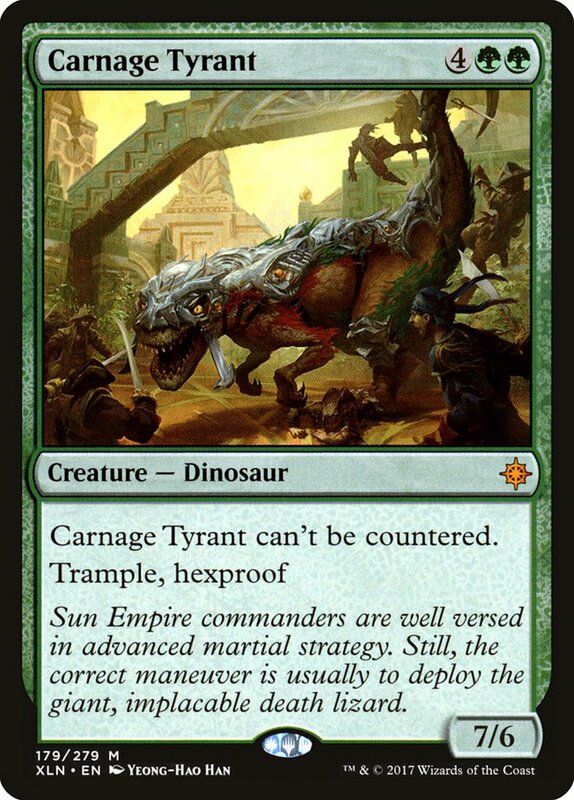 Of course, it's the Dinosaur with the highest upside if Rivals of Ixalan delivers the goods, so it's worth considering regardless. I'm not going to personally spec on a playset of these due to the price, but I wouldn't be surprised if it hits $20 or $25 at some point over the next month. 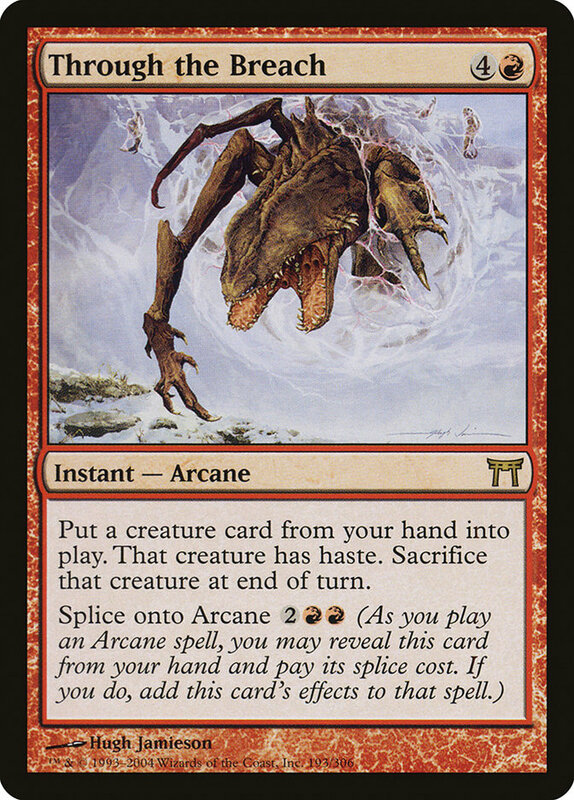 For now, I'll call Carnage Tyrant a soft trade target. Regisaur Alpha is more my speed. At just $2.25, you can snag a whole set for less than $10. 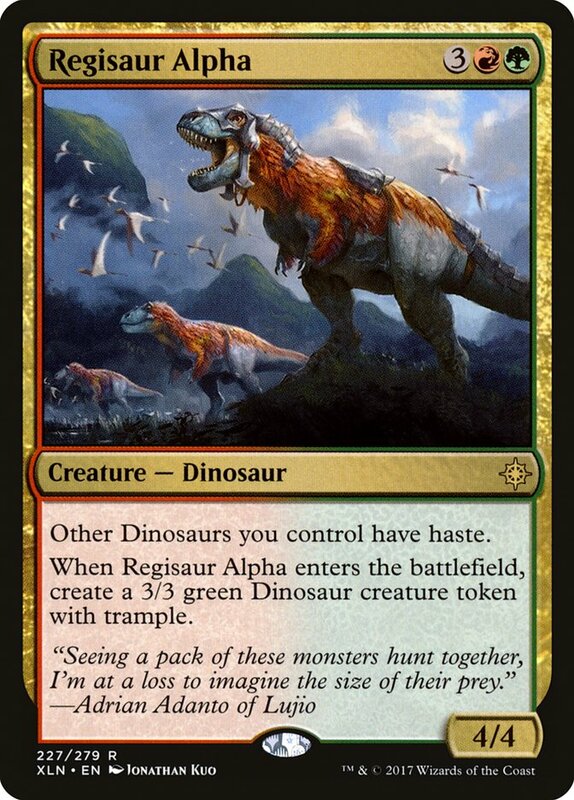 It's explicitly a tribal card, too, so it's going to jump if there are even a couple of good Dinos in Rivals. I bet it'll end up back around $5-$7 again, at least briefly. Boy oh boy are most of the Pirates cheap right now. Hostage Taker is the only one above bulk, and that's because it sees some play in Sultai Energy. Beyond that, you don't really have to pay much for the privilege of speculating on these cards. 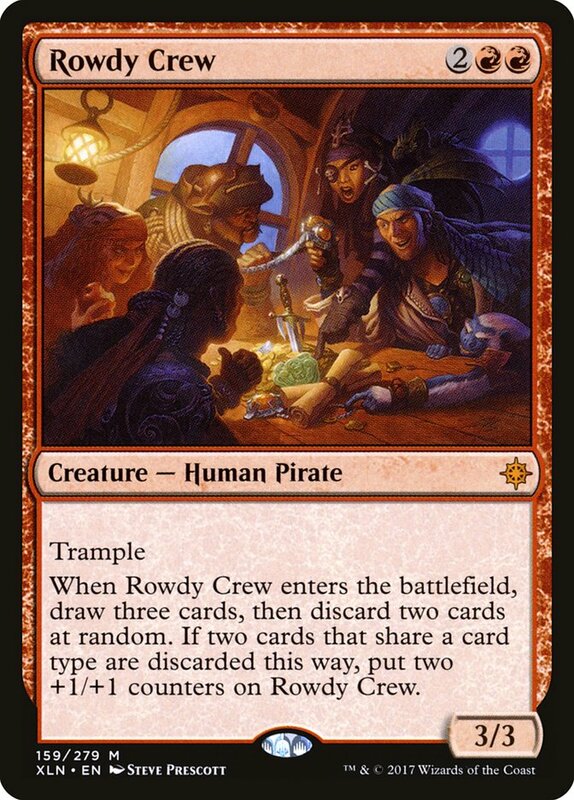 Dire Fleet Ravager and Rowdy Crew are probably worth a buy simply because they're mythic rares. Neither card has shown any promise in Standard up to this point, but they're low-risk snags with some really high upside. I only recommend this route if you like long shots, but they're pretty spicy picks if you do. Beyond that, Ruin Raider and Captain Lannery Storm have both shown flashes of promise. 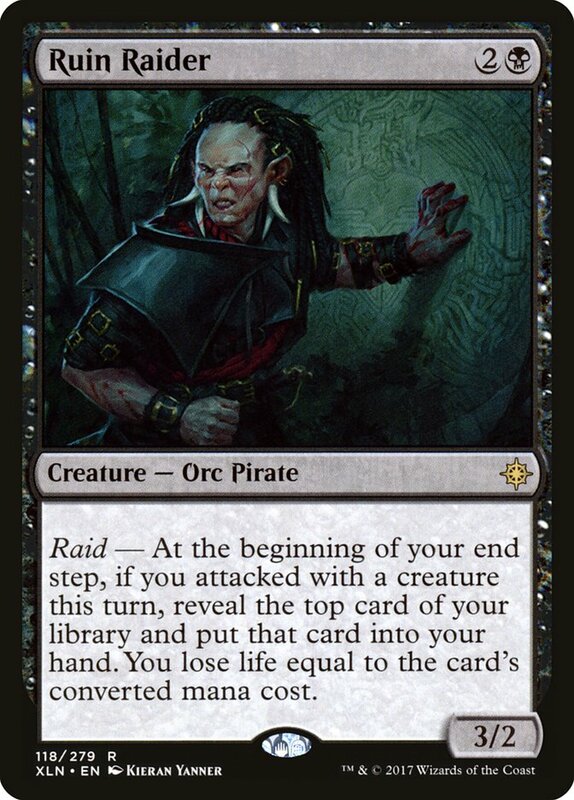 Both of these cards could easily find a home outside of a dedicated Pirate deck, too, and Ruin Raider is probably a staple in any aggressive black deck that might materialize at some point in the future. It might have the best risk/reward profile on this entire list, and I'm going to snap up a few sets of this one for sure. Fathom Fleet Captain is a quality snag, too, especially considering the price. 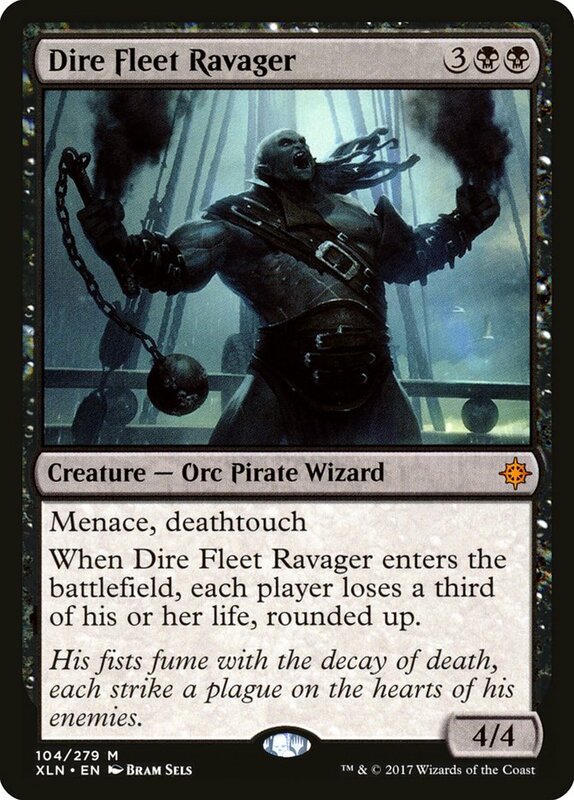 If a fully tribal Pirates deck generates any buzz, it'll probably be involved. There aren't nearly as many quality Vampires, which lowers the possibility of a deck emerging but increases your chances at guessing the right Vampire to spec on. 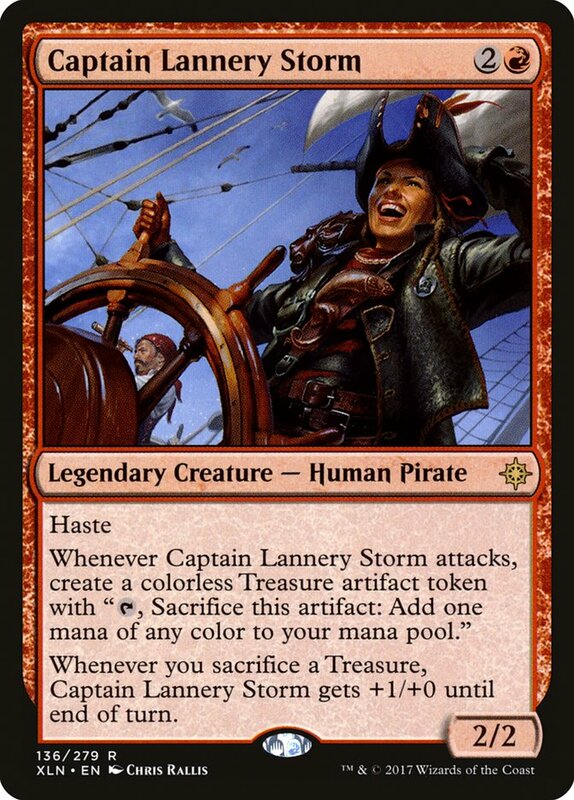 I'm already seeing some buzz around both Vona and Mavren Fein, and unlike either Pirates or Dinosaurs, we've actually seen a Vampires deck in Standard this year. 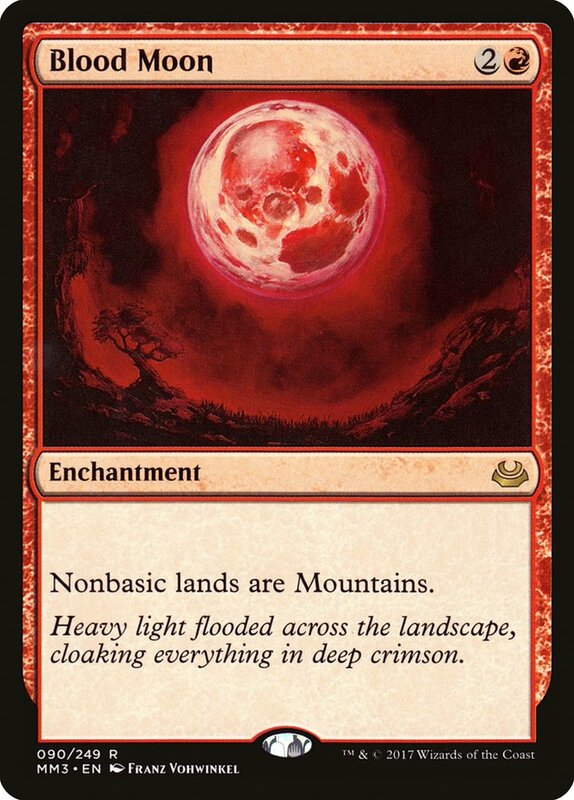 Don't forget to snag Legion's Landing if you go in this direction, though—it's a pricier spec, but it'll certainly be a four-of if a Vampires deck ends up taking off. Merfolk have a long way to go, but don't forget that Silvergill Adept will be in Rivals of Ixalan. People are going to try to make this deck work, even if the pieces aren't entirely there. To that end, Kopala looks like the best piece to target. 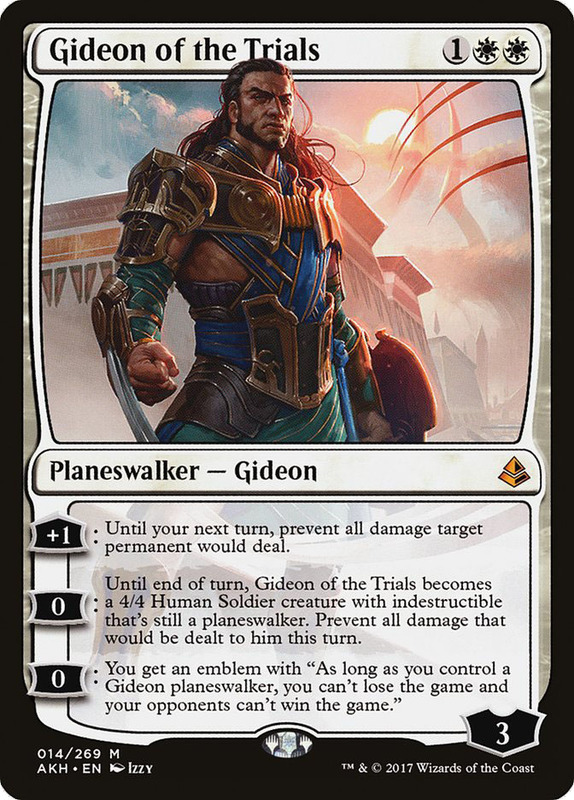 Much like with Regisaur Alpha and Fathom Fleet Captain, people are going to be looking at the most tribal cards first when they start speculating on new Rivals decks. At $6/playset, I'm going to make sure that I have at least a couple of these kicking around before the end of the year. I can't imagine any of these spiking hard in January like some of the tribal stuff will, but it's worth nothing that these lands are Standard legal for another year and a half. The Ixalan drafts are going to stop soon, which means that it's time to finish your playsets of whichever of these lands you don't have already. 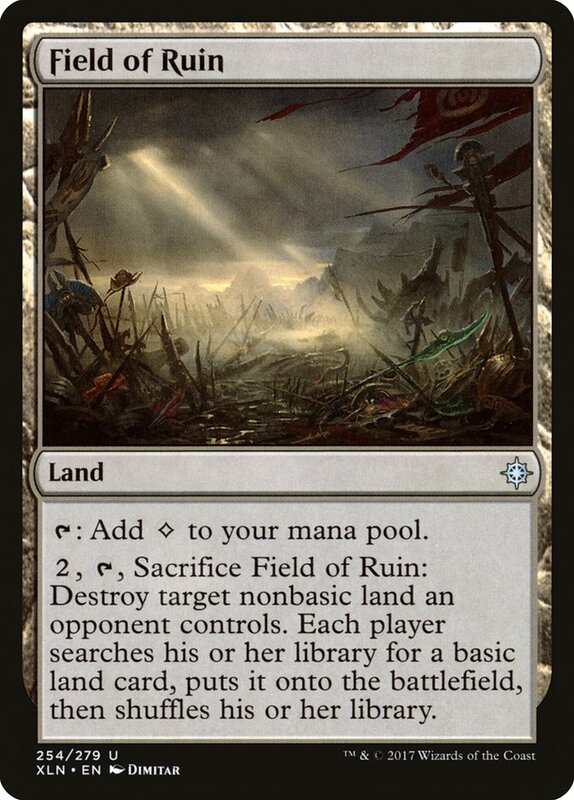 Make sure you have a few sets of Field of Ruin kicking around, too—it's the sort of staple uncommon that will randomly be $5 at some point in the future, especially since it's a multi-format all-star. Speculating on Modern is harder. We can't rely on new sets to create shifts in the metagame like we can in Standard, buy-ins are much higher overall, and the format is so wide and diverse that it's difficult to guess where things might be heading. But that doesn't mean we can't try! First off, Modern Masters 2017 staples are about as safe as it gets right now. 95% of these cards aren't going to be reprinted in Masters 25, which means that it should be a while before we see them again. Also, enough time has passed since MM17 that I'm starting to see some friskiness in a few of these price charts. 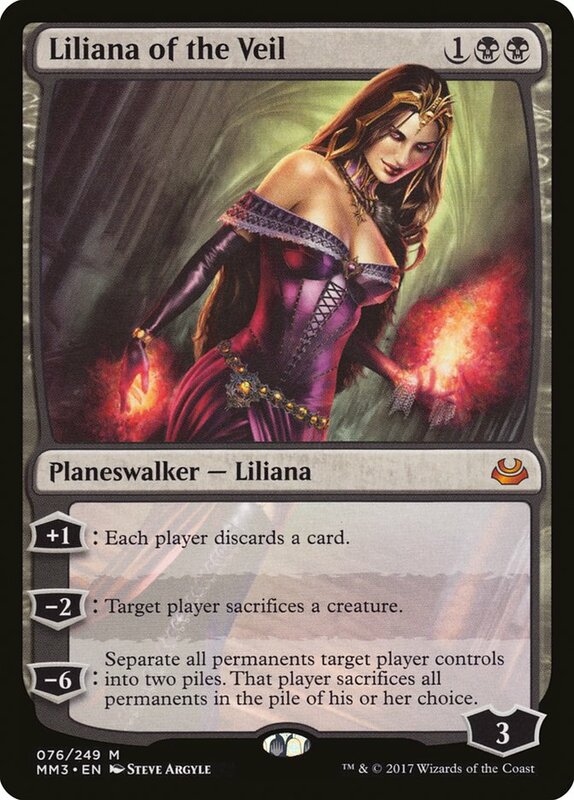 Your best bets are Liliana of the Veil, Snapcaster Mage, Blood Moon, and all five fetchlands. These are easy staples with a robust history and a solid demand profile. They've all tanked and rebounded multiple times and have proven themselves incredibly powerful and resilient. Beyond that, Damnation, Goblin Guide, Death's Shadow, Gifts Ungiven, Stony Silence, Abrupt Decay, and Voice of Resurgence are intriguing as well. I like Cavern of Souls, too, but you wouldn't be buying that one low at all. 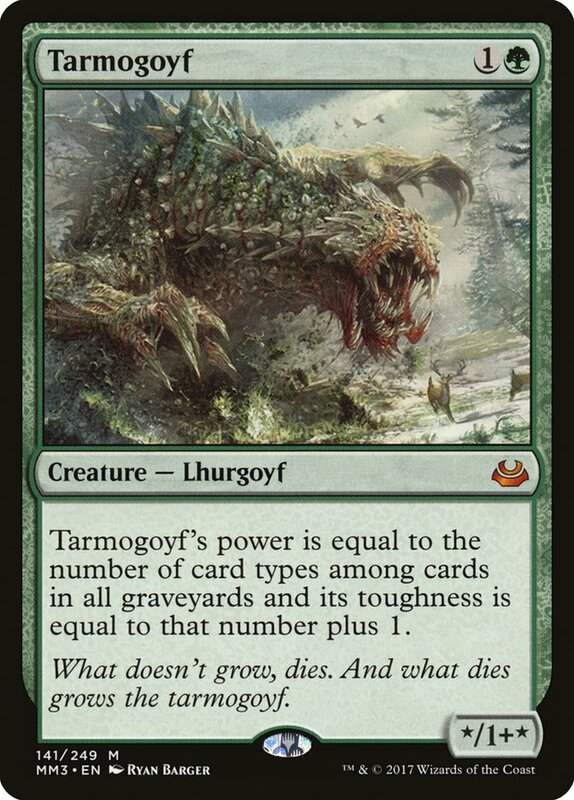 I've talked about Tarmogoyf a lot in this space over the past couple of weeks, and I'm still torn on its financial future. On the one hand, a (very possible) Bloodbraid Elf unban would probably cause it to spike. 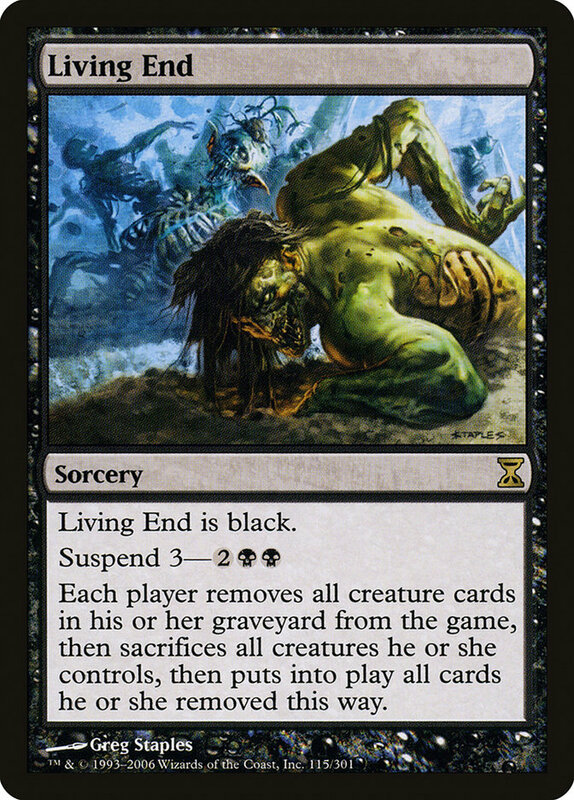 On the other, a (very possible) reprint in Masters 25 would cause it to keep dropping. I'm not selling my playset, but I'm not buying another, either. You might also be tempted to start thinking about some Iconic Masters staples, but there are still packs hanging off the racks at Target and Wal-Mart so I'm a lot more skeptical. Unlike MM17, I'm still seeing some downward movement on these cards and we probably haven't hit bottom yet. If you're going to buy any of these cards, grab Cryptic Command and Ancestral Vision, thanks to their impact in the Mono-Blue Living End deck. Thoughtseize is probably at an all-time low as well, thanks to the fact that the supply is quite high and nobody's playing it in Modern right now. Beyond that, I'm still giving this set a wide berth. Now that we've looked at Modern's supply-side issues, let's take a look at demand. Big mana decks were all the rage at Grand Prix Oklahoma City, with TitanShift, Jeskai Breach, G/B Tron, and Mono-Green Tron locking down six spots in the Top 8. 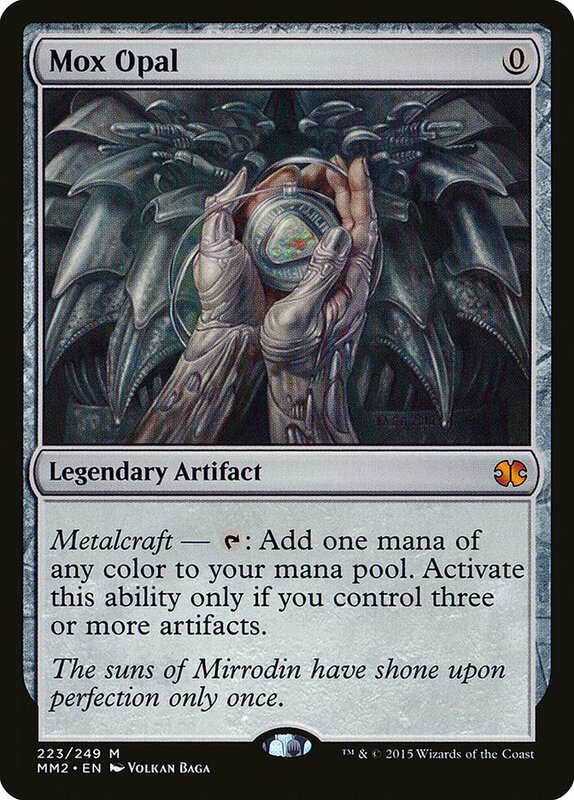 If the metagame continues in this fashion, we'll likely see cards like Karn Liberated; Ugin, the Spirit Dragon; Through the Breach, and Scapeshift start to tick up in the coming days. In fact, the price charts indicate that this shift is already starting to happen. Most of these cards are fairly inexpensive right now, at least relative to their historical highs, so you might want to consider buying in now if you've been holding off. Beyond that, it's worth looking at decks that are good against Tron and other big mana strategies. Gerry Thompson wrote a good article covering this topic last week, and it's worth peeking at for some interesting spec ideas. Most of his suggestions are known quantities, but it's important to have a sense of which way the winds are blowing in Modern at any given moment. Also, I agree with his theory that Infect might see a resurgence in 2018, even without Gitaxian Probe. It might be worth snagging some of that deck's key staples while they're absurdly cheap. It's also worth noting that Sam Black agrees with him, also suggesting that the format might move a bit more toward fast, linear decks. He recommends Lantern Control, a deck that's been consistently gaining popularity online. 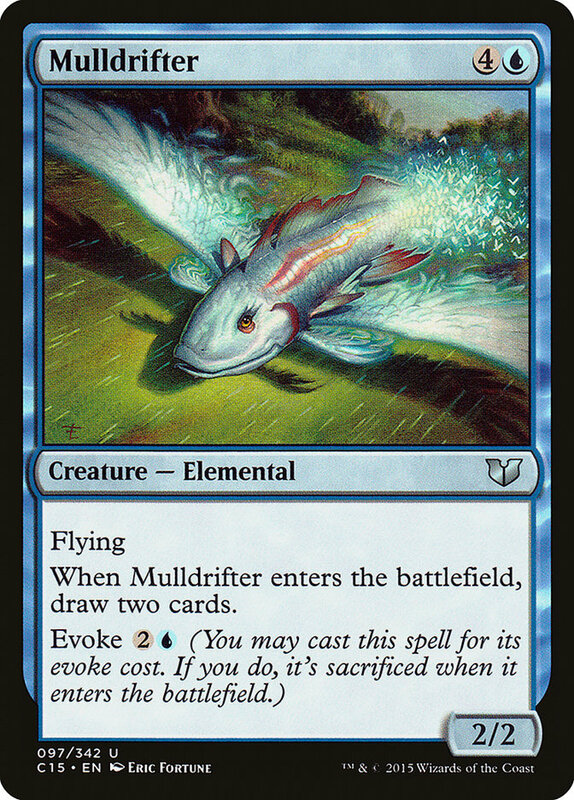 I'm especially bullish on Mox Opal, a card that's a staple four-of in both Affinity and Lantern Control. 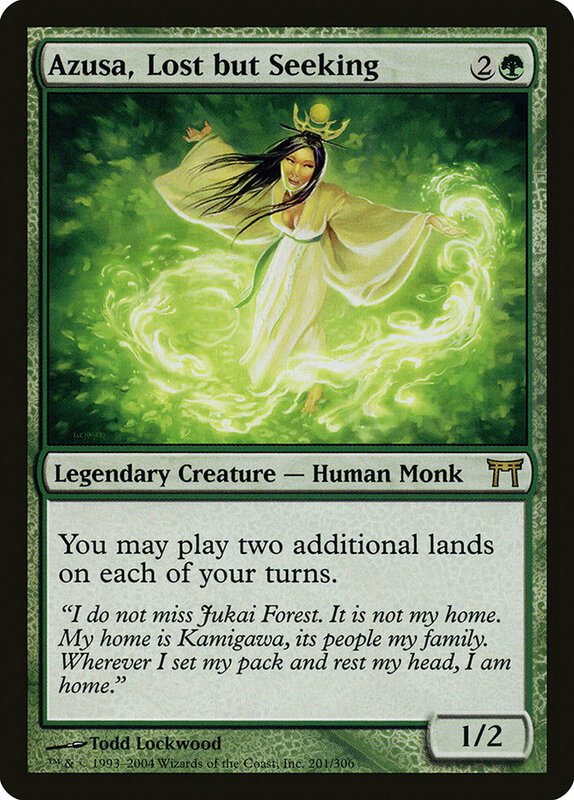 If it isn't reprinted in Masters 25, it'll easily break $100 and could end up being the most valuable card in Modern by a wide margin. At the end of the day, your best bet is to probably just fill in the holes in your Modern collection while the prices are relatively cheap. Modern prices haven't dropped off enough to recommend speculating on seasonal cycles alone, so if you're going in with flipping as your only goal, you'd better believe that the metagame is about to shift in exactly the way you want it to. Otherwise, my suggestion is to stay conservative without being afraid to buy cards based on need. Remember: the reason we do Magic finance in the first place is to make it less painful to afford paying market price for the cards we have to pick up for upcoming events. Since the market price is a little cheaper now than it probably will be in early February, think ahead a bit and figure out what deck(s) you're going to want to put together during the first part of the year. If you know you're going to need a playset of some expensive staple, don't put the purchase off until the last minute. Even saving five or ten dollars based on overall market trends can add up over time. 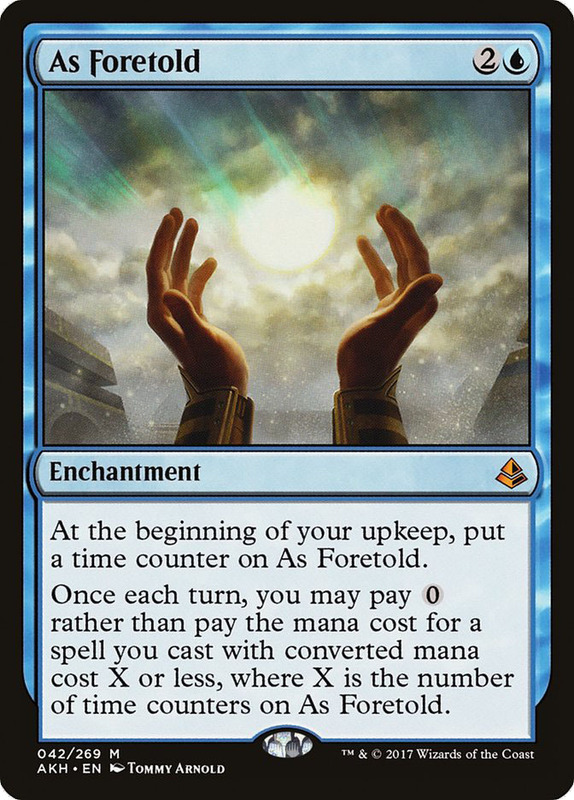 As Foretold continues to shoot up in price thanks to the Mono-Blue Living End deck in Modern. Living End itself is up a bit as well. I wouldn't be surprised if this card doesn't peak until it breaks $12 or $15, so I'm not selling my copies yet. At the very least, the price chart continues to point right at the sky. Otherwise, the Standard market has been completely dead. A few bigger staples—Vraska, Relic Seeker; Gideon of the Trials, The Scarab God—ticked down a bit, but no Standard card other than As Foretold gained or lost more than $1 this week. That's why I wrote a whole article about buying into the market! There was a little more action in Modern, but not much. 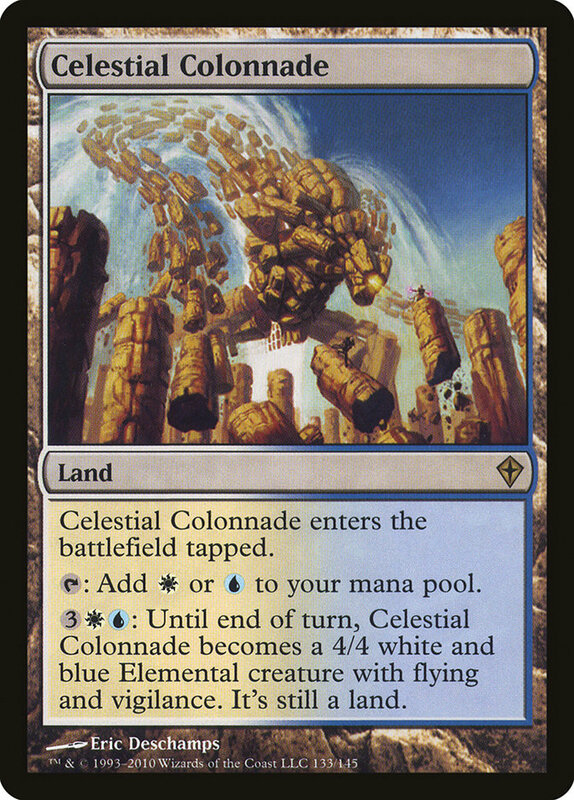 Celestial Colonnade; Azusa, Lost but Seeking; and Through the Breach are up a bit while Iconic Masters cards like Aether Vial and Horizon Canopy continue to drop off. 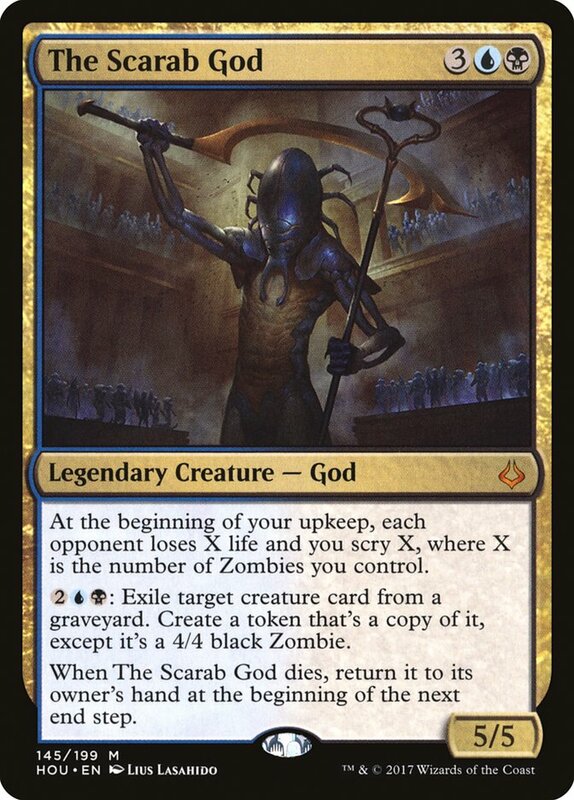 Again, it's worth picking up your Modern staples now before the mid-January rush sets in. 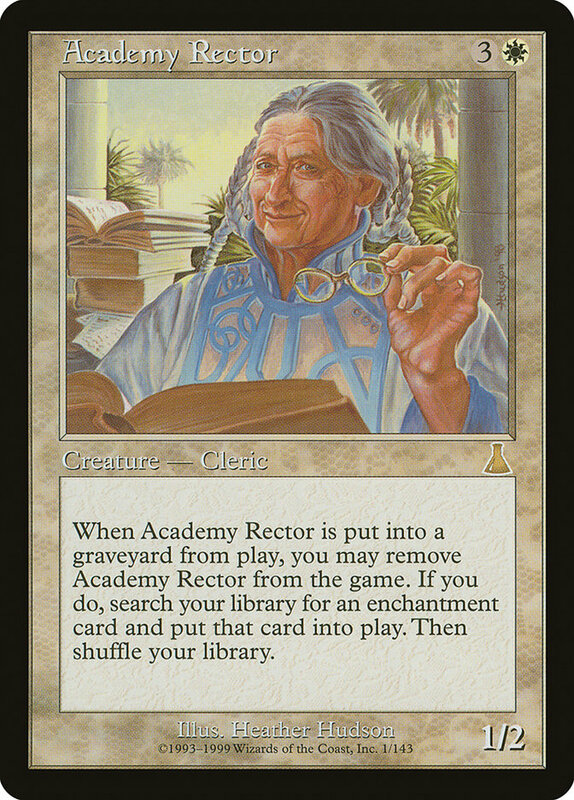 Academy Rector is surging in price thanks to a deck that showed up in a Legacy Challenge a few weeks back as well as a Saffron Olive video that released early last week. It's a Reserved List card, so it probably won't be dropping anytime soon. The other cards in the deck are all known Legacy quantities or cute one-ofs, but it might be worth snagging cheap foil copies of Overwhelming Splendor if you think the deck has even a minor future in the legacy metagame. There are going to be Pauper (!) side events at Grand Prix this January, so one of the best formats on MTGO might finally be crossing over into the world of paper Magic. Heck, we might even get a Pauper Grand Prix at some point! The format is fairly inexpensive by design, but I wouldn't be surprised if some of Pauper's key foils spike a bit. 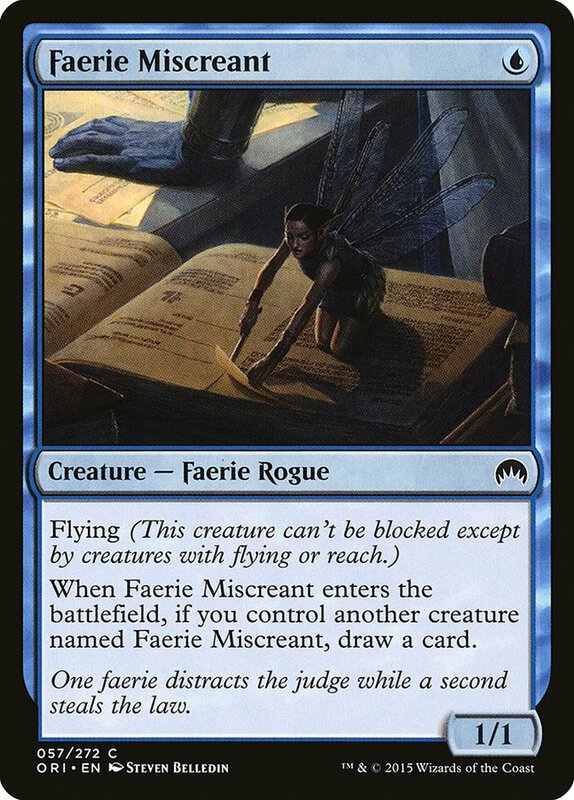 Ulamog's Crusher, Mulldrifter, and Faerie Miscreant are worth taking a look at. A lot of the key staples (Delver of Secrets, Ponder, Gush, Brainstorm, etc.) are already in high demand thanks to Legacy and Modern, though. Maybe snag a set of Antiquities Urzatron lands? Oubliette seems like it's ready for a spike. I'll probably dedicate a full article to Pauper speculation at some point in the new year. There are rumors that one out of every hundred boxes of Unstable is a "god box" where every single pack contains a foil basic land. If true, that would roughly double the number of foil basics hitting the market and eventually lower their value. The rate could be much lower than 1 in 100, though it does seem like these boxes are actually real. I'm not worried about the long-term value of these lands because of this, but it is worth knowing about. If someone at your LGS opens a foil basic in two or three straight booster packs, think about buying up the rest of them ASAP. 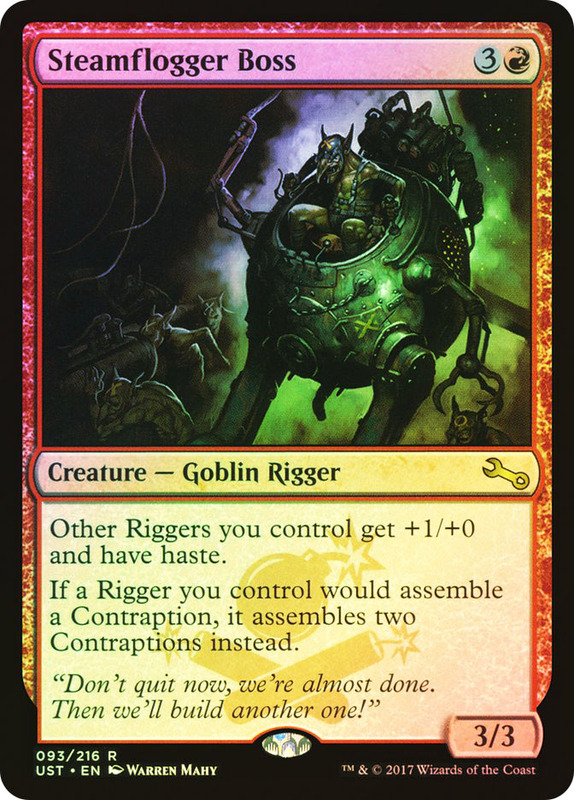 Speaking of things that are really scarce, Steamflogger Boss only shows up once in every three to four boxes of Unstable. There isn't enough demand for this to affect the price all that much, but the foil Unstable version of this card is incredibly, vanishingly scarce. StarCityGames.com® is selling it for $200, and it's out of stock. This is the sort of thing that 99% of local players (and some local stores) won't realize, so there might be some interesting arbitrage possibilities here. At the very least, don't pass a foil Steamflogger Boss in Draft.